Starting small is going to pay off much more than waiting for the Huffington Post to publish your essay. Everyone wants to get published in the Huffington Post. I’m not really sure why. I’m guessing it’s because millions of people read their articles daily. Mostly their essays and blog posts, probably. When I had a goal to publish an article there, it wasn’t just for exposure. I felt I had something important to say, and I wanted that message to reach as many people as possible. I wanted to help someone, to reach out to someone I would never meet, if I could. No, I never did get a feature there. That’s not to say I never will. A huge mistake many aspiring writers make is thinking they’re going to be one of the lucky ones, one of those random people who gets published on a website with millions of readers just because they have a message for the universe. And hey, you may very well be one of the lucky ones, I’m not here to crush your dreams. But I’m telling you right now, you’re going to have much more luck starting small. I don’t care how many times you’ve heard and ignored this advice. It’s coming to you again, and I hope you’ll take it to heart this time. So. What’s so great about reaching out to publications no one has ever heard of before, anyway? Pitching or even just offering your “services” to small publications, you’re much more likely to get a response, and they’ll be much more likely to say, “Hey, yeah, you can totally write some stuff for us.” Big publications get thousands upon thousands of submissions every day. If it’s a small or brand-new publication, you might be the only one they get today – and that stands out. What if they’re not ready to take you on just yet? This happened to me about a month ago. The editor referred me to someone else instead, because he had the time and courtesy to do that, and I can’t say it didn’t lead to more awesome things thereafter. Want to be a freelance writer or journalist when you grow up? You’d better be able to show that’s not only what you want, but what you’re fully capable of excelling at. It’s not necessarily all about writing for as many websites/blogs/magazines as possible, but the more work you have to show for your effort, the more places your name appears when someone Google searches you, the more promising of a career you will have. Eventually. Small publications need material and exposure. You need published work and exposure. It is a partnership like no other, and if you can gather up the courage to reach out instead of waiting for them to notice you first, they will be impressed, grateful and probably willing to take you up on your offer (but do know in advance, you’re not going to get paid in anything but experience, more often than not – never underestimate the value of that, either). I have been the managing editor of College Lifestyles magazine since July 2015. Ever heard of it? Maybe not, because it’s still a relatively small online magazine. But I didn’t apply for a top staff position and randomly get picked for it. Way back in 2012, I reached out and applied for a writing internship position. After six months doing that, I moved up to an editorial position. Eventually, I became the assistant managing editor, and so on. These things don’t happen in places like the Huffington Post. It doesn’t matter how good of a writer you are or how hard you work. Everyone wants to work there, get published there, be part of that team. Okay, so I’m not working for Seventeen or Cosmo. That doesn’t really matter. I’ve made more connections over the past three years than I probably ever would have as a lonely features intern at a magazine everyone has heard of before. You form professional and personal relationships. That gets you places, whether you believe it or not. So where do you find these kinds of small publications, anyway? That’s next week’s post. Come back soon for more, and while you’re waiting, check out our other posts in this series. You are always welcome to give suggestions on related topics or ask questions in the comments or on our Facebook page. As the managing editor of an online magazine, part of my job is coordinating submissions for our correspondent program. Basically, college students email me their pitches, and it’s up to me to decide which article ideas are suitable for our audience and which aren’t. 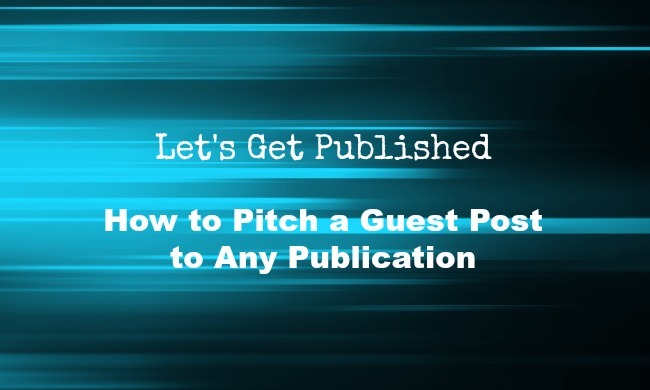 There’s some feedback, editing and publishing involved after the fact, but as with any guest post-type submission process, it all begins with a pitch. Or several. And sometimes that’s all I get: an email that contains five article pitches, and nothing else. Which is fine … I suppose. But some of these writers are journalism students, and part of me (never having taken a journalism class, I’m just being transparent here) wonders if some of these students just haven’t learned the proper way to pitch an article to an editor. No matter what kind of writing you do, whether it be fiction or essay writing, poetry, articles, whatever, you’re going to need to “sell” your ideas to an editor of some kind. We’ve covered a lot about ideas and writing and pitching in this series so far, but I’ve realized I have yet to go into how to actually pitch an idea. So that’s what we’ll cover this week. Even if you’ve pitched 100 articles before, you might learn something new. Every publication has them, and trust me, every editor who receives a submission that doesn’t follow them will toss the submission out without a second thought. It’s nothing personal, but if you can’t follow the pitching guidelines, there’s no way an editor can know if you’ll follow any other instructions you’re given, like how to structure your article, for example. Read those guidelines once, twice, three times. Make sure you are not only qualified (for example, CL’s writers must be currently enrolled in a college or university) but also make sure you understand what is, and what isn’t, expected of you. Some pubs list topics they are not interested in receiving pitches for. They might give you a word limit. Every website or magazine is different. An editor doesn’t just want to know that you can come up with a list of ideas. They want to know you take your writing career seriously, even if you’re just starting out. They don’t want to know every single detail about your life, but don’t just start off an email with, “I want to write for you, here are my ideas.” Would that be the first thing out of your mouth if you were actually meeting an editor for the first time? Hopefully not. Here’s an example of the kind of emails I send when I pitch articles to publications. Think of it as your one chance to show the person receiving this email who you are and why editing your work is worth their time. My name is (_). I have recently visited your (website/magazine/blog*) and, upon reviewing your content and submission guidelines, am writing with interest in contributing a (guest post/article/series of articles) to your organization. I am currently a (student/writer for __/contributing author with __) and have __ years of experience composing (blog posts/articles/etc.) with various publications such as ___. I believe this previous writing experience would allow me to provide content for (organization name) that would help its readers (___). Are you submitting to a website, magazine or blog? You need to not only know the difference but you need to be aware of which type of content site you are submitting to. And you need to express that knowledge in your email. Magazine editors do not appreciate being downgraded to blog editors. Website managers do not run magazines. You get the idea. Know who you are submitting to and make it clear that you have educated yourself about the organization and the kinds of content it produces. I am not impressed when it’s obvious a writer has no idea who they’re submitting to. First impressions are everything. Be smart and courteous when you pitch ideas to someone you’ve never met. Remember, it is not about you. It is about what you can do for the organization. You are “selling” your skills, not yourself. If you have any questions or want to know more about pitching to editors, leave a comment. I’ll be happy to elaborate on anything I’ve mentioned briefly above, and if there’s a question with an answer that deserves its own post, I’ll get right on it. Did you know you can now submit pitches for guest posts on Novelty Revisions? You didn’t? You must not have signed up for our weekly newsletter yet! Click the purple button on the right to sign up, and you’ll get information about guest posting in next week’s email. Meg is a twenty-something workaholic with a passion for writing, coffee and health. In addition to her status as an aspiring novelist, Meg is the managing editor at College Lifestyles magazine, a guest contributor with Lifehack and a guest blogger for Food & Nutrition Magazine. She is a seven-time NaNoWriMo winner and has also written for Teen Ink and USA TODAY College. Follow Meg on Twitter. Writing isn’t easy, but there’s comfort in knowing you’re not the only one struggling. There are hundreds of thousands of other writers out there typing their way toward the exact same goals you are. Which is great. Unless you want to stand out, which, predictably, everyone does. What can you do that makes you, and your writing, unique? Standing out is almost tougher than the writing process itself, but we’ve come up with a few tactics you can try to make the road a little easier to navigate. The biggest mistake younger writers (of lesser experience, not necessarily age) make is believing that belonging to a specific writing niche means you can only ever write about one thing. Regardless of your niche and what kind of work you hope to publish someday, writing the same thing over and over again doesn’t do much to show off your skills, even if you have a lot of them. Potential employers, agents and editors want to see your work, but they need to see a variety of writing samples. 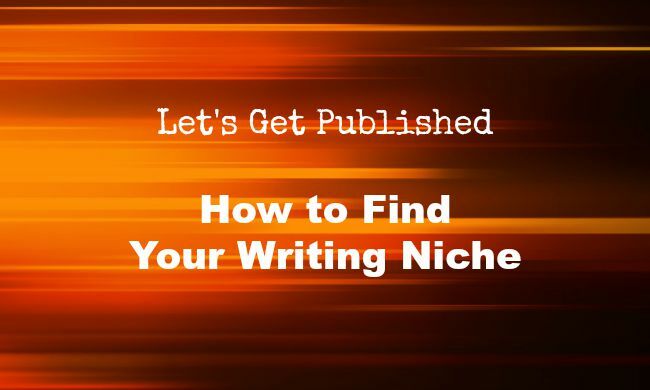 They need to know you’re flexible, experienced and able to write for a diverse market. Your portfolio should contain snippets from different newspapers, magazines and blogs, if applicable. Don’t have any yet? Here’s how you can get started. Very few writers stumble upon instant success, especially their first time trying. Even if you’ve been writing for awhile, it takes time to really immerse yourself in a consistent style and find your voice. The first few things you publish, even the first dozen, probably won’t be great. That doesn’t mean you’re a bad writer. Some of the most successful, well-known writers have been writing, rewriting and publishing for years. They didn’t find success overnight, and honestly, it’s not going to do you much good to expect to, either. For now, focus on refining your craft. Seriously. Put all your energy into getting a little better every day, and worry about publishing later. Readers can tell when you’re fully engaged in a piece and when you’re not. We write differently depending on how passionate we are about certain subjects and ideas, even when we don’t realize it. If you’re writing just for the sake of writing, just to put your name on the Internet and increase your chances of getting published someday, honestly, you probably never will. You need to write because you enjoy writing. If it’s not your passion, you’re not going to make it very far. Why? Because as we like to remind you here, writing is hard. It sometimes takes all your time and energy away from you. If you’re not fully invested in it, quitting will eventually seem like your best option. Besides, it’s not only ordinary readers that can tell when your heart’s not in it. Editors and the like can tell, too, usually within the first few sentences. The biggest key to success in publishing is to never stop writing. Keep your eyes open for writing opportunities and know it’s okay if everything you write isn’t always your best. You’ll have good days and not so good ones. What’s most admirable in a writer, though, is pushing through till you make it count. 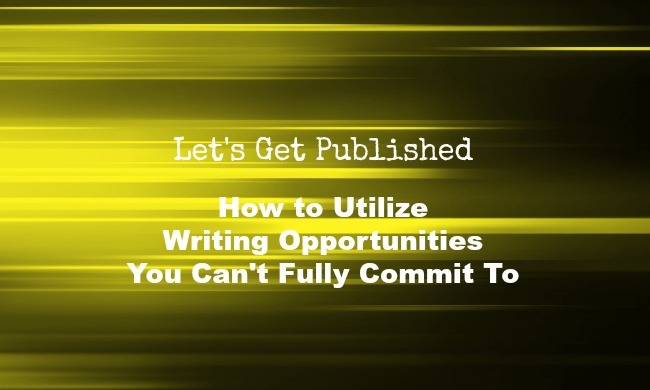 To get published, you have to act. Or in this case, write. As often as you can, wherever you can, at the highest quality you can possibly assert. If you want to get your name out there, and solidify your brand as you grow, it’s important to take advantage of as many networking and skill-developing experiences as possible. To do that, you have to really be aware of the opportunities available, in case something comes along at just the right time. It’s tough to stay up-to-date on what’s out there when you’re not currently in an active search. You’ll either end up trying to commit to too much or feel like you’re missing out on something that could really help build up your portfolio. Here’s how to utilize those writing opportunities even when you know you can’t fully commit to them … right now, anyway. Job and internship postings, as well as pitching guideline pages, have a lot of information, but not always everything you’re looking for. While it might be tempting to “just apply anyway,” it’s a dangerous thing to do if you’re not sure exactly what an editor is going to expect from you from week to week, or even from day to day. It doesn’t hurt to ask questions before you apply. Editors get questions from prospective writing applicants all the time (or they fully expect and welcome them, at least). How many hours/articles/pitches per week/month? What is the average length of one submission? What other requirements, like photos, go along with each general assignment? There is no such thing as a “dumb” question, and it’s better to have more than enough details than to miss something important that might not allow you to make a full commitment. Even if you’re not always writing, you’re probably always coming up with new ideas. That’s just how the brain of a writer works. Just because you have an idea, but don’t necessarily have time right this second to tell somebody about it, doesn’t mean you can’t save it for later. It’s not healthy, though, to let your head get too crammed with ideas. They need a place to stretch their legs even when you can’t give them somewhere to run to yet. Write them down. Create a list of story ideas and pitches you might be able to use later. When you snag a free hour to write something, you’ll already have a list of ideas to choose from. This can help you make better use of your writing time, especially when there just isn’t a plethora of it sitting around. Editors, publishers, potential employers—they’re all looking for the same things: who are you, where are you and what are you doing? No matter what you have on your plate, it’s important to put your online portfolio—aka, whatever pops up when someone Googles your name—toward the top of your priority list. To do this, though, you’ll need to take a good look at your schedule, both the current one and the future one. What do you have going on right now that’s keeping you from writing an extra article or two here and there? Will you still be doing that thing one month, three months, six months from now? Is there something you can put to the side, at least for a little while, to make room for a little extra portfolio-building? Don’t take this to mean you should put off or completely ditch getting a college degree to focus on writing. Never. Do. That. Why? Oh, let us count the reasons. Actually, we’ll just have to give them to you in the form of another post. Come back later this week for that. It’s going to be fun. Keep writing. Even when you don’t think you can handle it. You can. You will. Question: What’s one way to stand out when submitting an article for publication? Answer: Prove you know how to do research. Seriously. The difference between a blog post and an article? Research. If you can show an editor you know how to back up what you want to say, the right way, you’ll give yourself an advantage above those who don’t and can’t—even if it’s a small one. 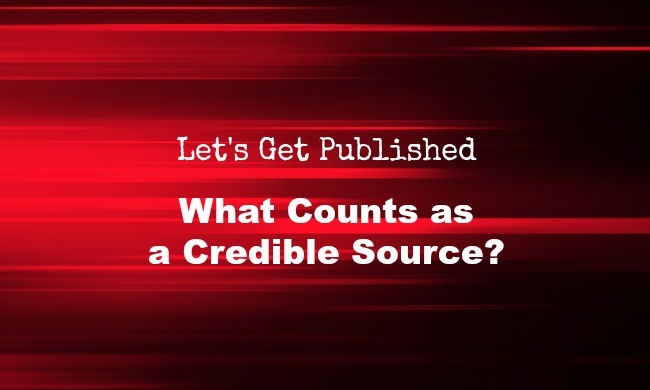 So where can you go to find credible information you know you can trust? Anyone can post anything they want online. It’s easy to create a website, make it look professional and flaunt that .org like you’re an industry leader even when you’re not. Foundations, associations, .govs, they’re your starting point. If you’re looking for facts, you can be confident you’ll find them there. If an organization has an “About” page, explore it. See who its founder is, who runs it, what their mission is. Beware of the use of “I,” which is an immediate sign that the “organization” you’ve found is actually a blog, usually run by one person. It doesn’t mean you can’t read up on their material to get some ideas on your topic. Many professionals have blogs, and they do know what they’re talking about some of the time. It just means you shouldn’t rely too heavily on them for credible information to include in your article. Have you ever stumbled upon the abstract of a journal article, amazed that it summarizes the results of a study that align perfectly with the point you’re trying to make? We all probably have at some point, but it’s not the most credible route to take. For one thing, one study doesn’t prove an association to be true, and for another, saying a study was done on a topic doesn’t give readers much background information on the topic, which is what readers want to read about in the first place. The average person isn’t going to be able to interpret all of the complex terminology practiced researchers use in their published works, but you’ll be rewarded immensely for trying. Just glancing at the abstract of one study doesn’t prove much, and it definitely doesn’t prove you can do your own research. It just proves you can read an abstract, which are 250 words or less. You can contribute to the more-reliable-Internet-stuff movement by passing along good info others have included in their own articles. Linking to an article that reinforces your points is helpful, but it’s even better when the articles you link to also lead to more information. It’s okay to give your readers even more to read on your topic, as long as it’s a link to more credible information. This is especially helpful if you tend to go overboard on word count (you love explaining things, it’s okay, we understand) when trying to include too much detailed information in one piece. Just because one person or web page says it’s true doesn’t mean it is. So even if you use these places to get a general idea of what peoples’ opinions are on a particular subject or to generate ideas or angles for your work, don’t cite them as sources. Stick to solid research, fact-check (look for those same facts in different places) and whatever you do, do not use Wikipedia as a primary source. Please. It’s time to get serious, aspirers. If you want to be a writer, there are some requirements. You need to want it, and we mean really want it. Editors and readers alike can tell when your heart’s not in it. You need to know why you want it. 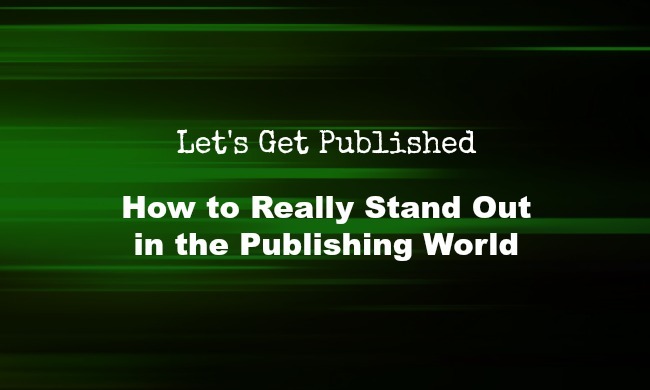 You need to know where you fit in the publishing world and carve your name into it, because a lot of people—a lot of people—want what you want, for the same reasons you want it. How do you stand out? By finding a niche and, basically, dominating it. How do you do that? This week we’ll show you how to find the place to chisel your name onto the wall. Next week we’ll show you what to do when you’ve found that wall but there’s no room left for you on it (yet). Wait. That seems a little backwards. Aren’t we supposed to be finding our niche? Exactly right. How do you expect to find your area of writing expertise if you haven’t tried writing on different topics, for different publications and audiences? In the beginning, write what you can write. Write what you enjoy writing about, but don’t hold yourself back from branching out to different topics. For one thing, it’s helpful to get your name out there, but everyone’s trying to do that at the exact same time. What you really enjoy writing about might not even end up being your exact niche—hold on, let’s dive a little deeper into that one. You don’t have to have a blog or a business to have a mission. Personal mission statements aren’t just for college applications: they’re part of establishing your brand, which you should start doing if you haven’t already, if you want readers to be able to figure out who you are if and when they do find you. Creating your own mission statement will help you maintain a common thread throughout all the work you do, so that even when you’re writing on many different topics, you can still communicate your overall message to many different readers. It’s easier to define which niche aligns best with your goals when you know the specific goals you’re looking to achieve. Eventually, as an “expert” you’ll spend less time writing random posts and articles and more time in your niche. Before you get there, though, you have to get involved. You can’t be an expert if you’re invisible, and if you’re not even sure how to begin building your brand and anchoring yourself in a specific writing niche, you might want to surround yourself with people and ideas who can help build you up. Get out there. Read, comment, participate in conversations and writing challenges. Know the mantras of experts in the niche you enjoy spending time in and connect with them if you can. If you’re tempted to post multi-paragraph replies to someone else’s comment in a forum—because you want to elaborate on a point, not to be a troll—that might be your place to settle in and hang for awhile. It’s not easy, being a writer. We know. Find where somewhere is for you. Where do you fit? And how will that change the way you write? Before you scroll down to the comments section to scold us for our latest bite of advice, take a deep breath. Never judge a blog post by its title, right? So far in our LET’S GET PUBLISHED series, we’ve covered how to choose the right publication to submit your pitches to and how (and why) to keep track of the pitches you do submit. Never once have we advised you to submit a story idea, to anyone, before giving it some serious thought first. So why, then, are we screaming at you to pitch “bad” ideas? What’s that about, huh? The thing is, nothing you submit is ever going to be perfect the first time around. Either it’s just not refined enough to make it past the first publication barrier or it doesn’t quite fit the mold of what that particular editor is looking for. But sometimes, you have a pitch you’ve been brainstorming and fixing up for a little while. You know it’s not perfect. Keeping it to yourself just because you don’t think it’s ready, though, is only going to hurt you. Here’s why. Have you ever noticed that it’s the ideas you think need the most work that other people grab onto the fastest? It’s always the idea you don’t think will make it to the next round that gets picked up first. There’s a reason for this: you spend a lot of time with your ideas, and after awhile, none of them are ever going to seem appealing enough to you to sell. When we spend enough time mulling over our story ideas, we become desensitized to them. Have you ever just casually said to someone, “Oh, I’m writing a book/article/story” and wondered why they seem so intrigued? Is it really that big of a deal? It is! You’re just so used to it, it doesn’t look that way to you anymore. We face the same dilemma when pitching ideas. So when you don’t think something is quite good enough—pitch it anyway. Just do it. It’s not always easy to predict how editors are going to react to your idea submissions. Some, okay, most, will pick the ones they like and spend their time pursuing those: they’ll just ignore the ones they aren’t planning on using, because they get hundreds, and they’re not robots. They can only do so much. Some editors, though, particularly with small publications and newer blogs, will respond to your pitches even if they’re not quite ready to move forward in the publication process. You might actually get some decent feedback on how to revise your pitch to make it stand out more, broaden its subject matter or clarify its purpose. You never know, so it’s worth taking a chance regardless of whether you’re completely confident or not. 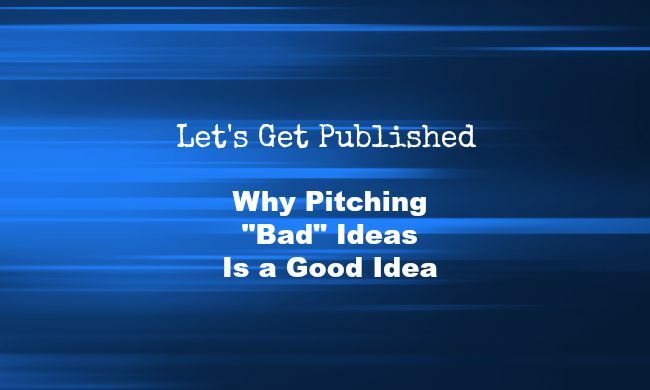 Which, of course, leads nicely into our final reason to pitch, even when you think you have a “bad” idea. Honestly, if you never just “go for it,” you’re never going to get published, anywhere, no matter how much time you spend refining your skills. Pitching to publications is an experience in itself, so even if it feels like no one is ever interested in the ideas you’re throwing out there, it’s so much better than never pitching at all. As we mentioned above, sometimes what you think will never make it will end up doing exactly that. The more time you spend worrying about whether so-and-so will “like it,” the less time you’re spending getting it out there for people to see, working on other projects and getting better and better at pitching, writing and selling as you go. You can do it. The moment just before you hit send is the worst. Okay, waiting to hear back is pretty awful, too. But that gets easier to handle, too. We promise. Like the act of writing itself, getting published is a process. Often a long, unpredictable process that involves more waiting than anything else. You have a lot of ideas, and you just want them to be heard, dangit! How do you know you’re doing it right if no one’s emailing you back? Just because you’re stuck waiting doesn’t mean you can’t continue to crank out, and submit, more ideas elsewhere. How—and why? We’ll show you. There are several reasons you shouldn’t ever just “wing it” when pitching a story idea, whether it’s to a magazine, blog or part of a proposal of sorts for your agent. Some online submission forms don’t automatically send you a copy of what you’ve just submitted, and if someone comes back to you and says they’d like you to develop and send in your story … and you don’t remember your exact pitch … that might be a problem. 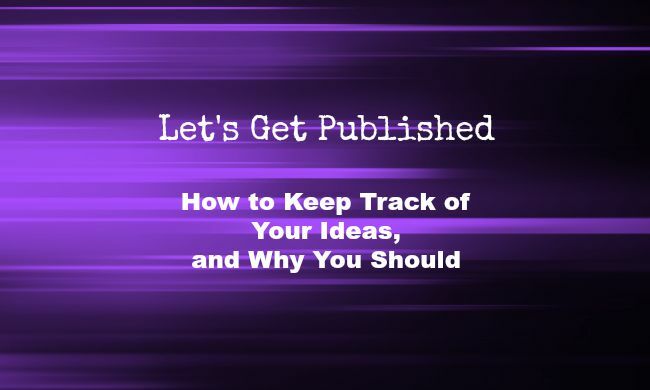 Keeping a list of ideas you’ve pitched, where you’ve pitched them and whether they’ve been accepted, rejected or ignored can help you figure out your niche (which topics you tend to gravitate toward writing about), which kinds of pitches fit certain publications (and which don’t) and can even help you get used to the time gap between when you pitch and if/when you generally get a response. Once you pitch one idea to a publication, you can take advantage of that gap and pitch different ideas somewhere else while you’re waiting. The more you pitch, the better you get at it. We won’t say it gets easier, because that would be a lie. Over time, you do start to get a better sense of what certain audiences want to read, what they already know, what they want to know and how to construct pitches that will grab editors’ attention. The same way journaling can give you the chance to look back at your younger, less experienced self, keeping track of your story ideas over time, regardless of whether they’ve been accepted or not, allows you to look back at the kinds of pitches you were submitting last month, last year, even a few years ago, if you’re really dedicated (go you!). What if an idea for one publication or agent gets rejected or ignored, but you want to try and pitch it somewhere else? It’s true that your pitch may have been overlooked because it’s not quite the right fit for that particular publication’s audience or that agent’s requested genres. But the pitch itself might also need some revising. Maybe it’s not specific enough. Maybe it’s almost there—but not quite ready yet. It’s okay to try an idea out in more than one place, if the first or second don’t work out. But don’t pitch the exact same idea every time. Play around with your angle. Keep your audience in mind. Keep working at it, either until it finds its fit or until you decide it’s time to move on to something different. If you want to get published, it’s important to remember there’s only so much you can control throughout the process. But if you want it—and we mean really want it—you’ll find a way to make it work. You’ll figure out how to improve your pitching strategies and find not just where your stories fit, but where you fit as a writer, too. We all have specific websites, magazines, journals and other publications we read on a regular basis. 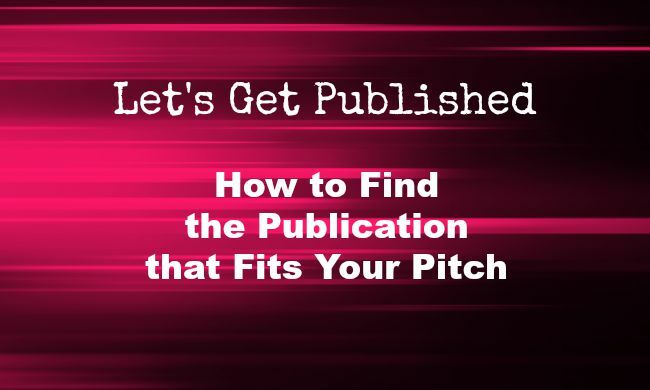 It’s tempting, when we start thinking about getting more of our work out there, to pick one of our favorite content hubs, seek out their pitching guidelines and formulate a pitch, article or story that fits exactly within that publication’s scope. As a writer, the best creative strategies are the ones that leave our minds open to seemingly infinite possibilities. Seeking out a specific publication before you have an idea in mind automatically puts you in a box, a cage to hold back your creativity, which is exactly what you don’t want to do when you’re first starting out. Here are our tips for finding a home for your ideas after you’ve already constructed them, the first installment of our latest series, designed to help your ideas get the attention they deserve. Who is most likely to pick up your pitch/article/story? We’ll discuss audience identification a little bit later, but for now, pay close attention to who you think you’re writing to. This will differ depending on whether you’re working on a fiction or nonfiction project. Picture who you imagine clicking on your article or picking up your story if it were to get published someday. Teenagers? College students? Older adults? Readers of a specific literary genre? Knowing who you’re targeting will help you narrow down options when you’re looking for places to submit your pitch. Let’s be honest: The Huffington Post probably isn’t going to respond to your first, second, third, maybe even your eighth pitch. The bigger the publication, the less likely you are to get noticed. It’s not even that your pitches/articles/stories aren’t worth reading … hundreds of others’ submissions are, too. When you’re searching for places to pitch to, start small. Just because you get published in a journal or magazine or on a website no one’s ever heard of doesn’t mean it doesn’t count! You’re published! You might even be able to continue contributing to that small publication, get more experience, build your portfolio and eventually be able to work your way up to more well-known pubs. Whether or not you’ll submit only the pitch or the entire article at the beginning depends on the publication. Some magazines and other online media outlets have you submit a short pitch for approval; some will ask for a short pitch along with the article/story already written. It’s a good idea to stick with one pitch at a time, and let it make the rounds. As we’ve mentioned before, and as we’ll discuss later on throughout the month, your pitch might have a perfect home. If you’re lucky, it might be able to fit in more than one (so you’ll have to choose). But if it doesn’t—that’s okay. You can either choose to tweak it, wait awhile and send it out again, or put it to the side to use for a different idea in the future. The most important thing to remember when you start pitching is that patience will pay off. Sometimes publications take weeks to accept pitches, and it takes a little while to get into the rhythm of knowing when it’s time to move on to a different outlet. The more you pitch, the easier it will get, and the more likely you are to, eventually, see your words on the web, in print or both.